Legal services beating torrents into submission? Real-time entertainment services like Netflix, Spotify, BBC iPlayer and YouTube account for an average of 40.5 per cent of all peak downstream data across Europe, new research has claimed. 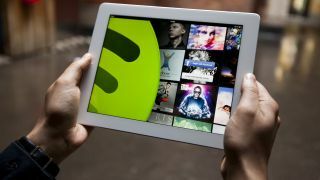 The Sandvine Global Intenet Phenomena Report claimed that in countries with more access to legal streaming services, the proportion of illegal download traffic dropped significantly. The moral of the story appears to be that illegal downloading is a problem caused as much by lack of availability of content rather than a blatant desire to avoid paying for TV shows, movies, music and more. Sandvine wrote: "Countries with access to paid services like Netflix or BBC iPlayer typically had real-time entertainment as a higher share of traffic. In Europe, countries with lower real-time entertainment share typically have higher filesharing traffic, which leads us to believe that subscribers are likely using applications like BitTorrent to procure audio and video content not available in their region," said Sandvine. Topping the bill for legal content is YouTube, naturally. Google's video-sharing site accounted for a massive 24.25 per cent of all downstream traffic across the region. Significantly, that's more than double the 12 per cent of traffic that can be attributed to BitTorrent sites. Facebook was responsible for 3.97 per cent of all traffic, which is not bad considering there isn't that much data being downloaded through general Facebook browser. Skype voice calls, video calls and instant messaging accounted for 1.97 per cent of downstream traffic.